Sony Alpha A7R IV 60MP camera could be in the works - 8K shooting incoming? Big sensor points to an 8K camera. 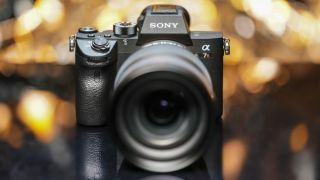 Details have surfaced about two possible new Sony full frame 16-bit sensors, with one packing a massive 60MP. Given 4K shooting is pretty much the standard on cameras right now, it makes sense that camera manufacturers such as Sony are looking to the future and poised to offer sensors that pack in a huge amount of detail that could be used on an 8K camera. According to Sony Alpha Rumors, the first sensor will be 36MP and will shoot 16 bit at 10 and 26fps. The second sensor, and the most intriguing, is a reported 60MP in size, with the ability to capture 8K at 30p and 60p. The full CMOS sensor is also said to have 16 channels. Sony Alpha A7R IV to get 8K? If this is the case, the the sensor will be able to shoot video with 7680 × 4320 resolution. Yikes. These sensors are not guaranteed for future Sony devices and could well make their way into third-party cameras, but if these specs are correct then Sony is looking to future proof itself with its latest sensor. And there was you thinking, the 42.2MP sensor in the Sony Alpha A7R III was impressive. 8K shooting may not be a particular requirement for many at the moment - although the first Samsung 8K TV is now on sale - but the ability to shoot in this format and downscale to 4K will be welcomed by many.